So we've had quite a busy month, hence why I've not updated in quite some time. But, we've moved house! It's so exciting to finally have our family home and we have been so busy packing and sorting, it's been a busy few weeks. Then we got burgled & then I became ill with glandular fever, we haven't had it easy but now we are all settled, it's perfect and we couldn't be happier. 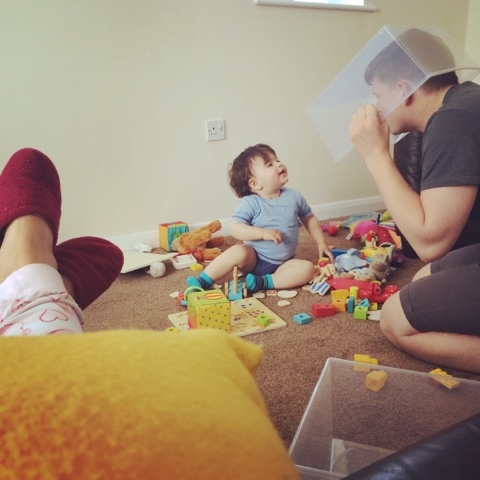 It hasn't been easy moving house with a toddler in tow, but thankfully with a lot of help through babysitting by family, Noah has settled so well in our new house and we need not have worried because he doesn't seem to have even noticed the difference. We have tried our best to stick to his routine he has always had and that has worked well. What have you been up to this month? Have you ever moved house with a toddler?